His birth in a grotto was attended by magi who followed a star from the East. They brought “gifts of gold, frankincense and myrrh” and the newborn baby was adored by shepherds. ____, one of a trinity, stood on a rock, the emblem of the foundation of his religion, and was anointed with honey. After a last supper with Helios and 11 other companions, ____ was crucified on a cross, bound in linen, placed in a rock tomb and rose on the third day or around 25 March (the full moon at the spring equinox, a time now called Easter after the Babylonian goddess Ishtar). The fiery destruction of the universe was a major doctrine of ______ism-a time in which _____ promised to return in person to Earth and save deserving souls. Devotees of ____ partook in a sacred communion banquet of bread and wine. Archeologists have found as many as 718 monuments or statues of ____ at Ostia (near Rome-Author) and close to 300 in Rome. A ____ shrine was uncovered under St. Paul’s cathedral.____ was a god, a son of a god, born of a virgin on December 25. Christianity is a copycat religion created by Emperor Constantine (for political purposes) based upon a myth (The Persian savior god Mithra, crucified 600 B.C. ? 400 B.C.? ), which was based on other similar myths, all the way back to Chrishna of India (a mythical god that some claim was “crucified” or violently died around 1200 B.C.). There were 16 mythical crucifixions before Christ. The belief in the crucifixion of Gods was prevalent in various oriental or heathen countries long prior to the reported crucifixion of Christ. Of the 16 crucifixions, most were born of a virgin and about half of them on December 25th. Eusebius (Bishop of Caesarea in Palestine “Father of Church History“) attended the Council of Nicaea in 325 A.D. and was a friend of Emperor Constantine, who also attended, and who made the keynote speech. Eusebius then arranged for scribes to produce fifty sumptuous copies to be written onparchment in a legible manner, and in a convenient portable form, byprofessional scribes thoroughly accomplished in their art (ibid.). The Serapeum housed the Great Library of Alexandria. Why there are no records of Jesus Christ. WHAT DOES THE CATHOLIC CHURCH ITSELF SAY ABOUT THIS? What (your local) Church doesn’t want you to know, and/or wouldn’t want you to know, even if they knew. This statement conflicts with priesthood assertions that the earliest Gospels were rogressively written during the decades following the death of the Gospel (sic) Jesus Christ In a remarkable aside, the Church further admits that, “the earliest of the extant manuscripts [of the New Testament], it is true, do not date back beyond the middle of the fourth century AD” (Catholic Encyclopedia, op. cit., pp. 656-7). 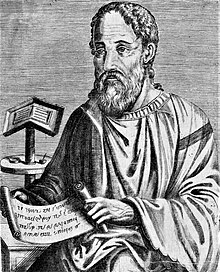 It was British-born Flavius Constantinus (Constantine, originally Custennyn or Custennin) (272-337) who authorized the compilation of the writings now called the New Testament. Yes, but what about references to the four Gospels and/or Christians being persecuted supposedly before the 3rd Century A.D.? His reference to Jesus in Testimonium Flavianum has been claimed as a later addition (Forgery-Author Samuel Butler), not questioning the authenticity of the main work. Yes, but what about Pliny the Younger’s letter to Emperor Trajan 112 A.D. ? (Pliny was not a contemporary of Jesus, and he never mentions “Jesus”)? Pliny the Younger (c. 61 – c. 112), the provincial governor of Pontus and Bithynia, wrote to Emperor Trajan c. 112 concerning how to deal with Christians, who refused to worship the emperor, and instead worshiped “Christus”. In any case, the Catholic Encyclopedia itself supports the thesis that the Gospels of Christianity were written no earlier than the 4thCentury: “the earliest of the extant manuscripts [of the New Testament], it is true, do not date back beyond the middle of the fourth century AD”– (Catholic Encyclopedia, op. cit., pp. 656-7). The evidence of his having been crucified is as conclusive as any other sacrificial or sin-atoning God, whose name has been memorialized in history, or embalmed as a sacred idol in the memories of his devout worshipers. Holes pierced in his feet … a hole in the top of one foot, just above the toes, where the nail was inserted in the act of crucifixion. Savior __________ atoned for the sins of a grief-stricken world by “pouring out his blood as a propitiatory offering” while stretched upon the cross. 1. His miraculous birth by a virgin. 3. The edict of the tyrant ruler ______, ordering all the first born to be put to death. 4. The miraculous escape of the mother and child from his bloody decree by the parting of the waves of the River ________ to permit them to pass through on dry ground. 5. The early retirement of ________ to a desert. 6. His baptism or ablution in the River _________. 8. He was anointed with oil by women. 9. …fish story is told of him — his disciples being enabled by him to catch large draughts of the finny prey in their nets. Those who do not control their passions cannot act properly toward others. The evils we inflict upon others follow us as our shadows follow our bodies. Only the humble are beloved of God. Virtue sustains the soul as the muscles sustain the body. When the poor man knocks at your door, take him and administer to his wants, for the poor are the chosen of God. Let your hand be always open to the unfortunate. Look not upon a woman with unchaste desires. Avoid envy, covetousness, falsehood, imposture and slander, and sexual desires. Above all things, cultivate love for your neighbor. That was Chrishna of India, who according to some traditions purportedly was “crucified” approximately 1200 B.C. The Vishnu Purana speaks of Crishna being shot in the foot with an arrow, and states that this was the cause of his death. foot by a hunter’s arrow. BUT, WAIT, DOES IT MATTER how he died? THESE ARE ALL GOD MYTHS, ANYWAY. (They are included to show that “crucifixions of Gods/Son of Gods was a common fable before the crucifixion story of Christ). Six would suffice to make the point. II. CRUCIFIXION OF THE HINDOO SAKIA, 600 B.C. III. THAMMUZ OF SYRIA CRUCIFIED, 1160 B.C. IV. CRUCIFIXION OF WITTOBA OF THE TELINGONESIC, 552 B.C. V. IAO OF NEPAUL CRUCIFIED, 622 B.C. VI. HESUS OF THE CELTIC DRUIDS CRUCIFIED, 834 B.C. VII. QUEXALCOTE OF MEXICO CRUCIFIED, 587 B.C. VIII. QUIRINUS OF ROME CRUCIFIED, 506 B.C. IX. (AESCHYLUS) PROMETHEUS CRUCIFIED, 547 B.C. X. CRUCIFIXION OF THULIS OF EGYPT, 1700 B.C. XI. CRUCIFIXION OF INDRA OF TIBET, 725 B.C. XII. ALCESTOS OF EURIPIDES CRUCIFIED, 600 B.C. XIII. ATYS OF PHRYGIA CRUCIFIED, 1170 B.C. XIV. CRITE OF CHALDEA CRUCIFIED, 1200 B.C. XV. BALI OF ORISSA CRUCIFIED, 725 B.C. XVI. MITHRA OF PERSIA CRUCIFIED, 600 B.C. Christianity adopted the cross later on. Christian archives record that the general use of the crucifix became ratified at the Sixth Ecumenical Council in 680 (Canon 82). The council decreed that ‘the figure of a man fastened to a cross be now adopted’.